Chef Chantel Dartnall is passionate about her approach to the delicate dishes she creates at Restaurant Mosaic. Each week the Restaurant is fully booked as guests visit from all over South Africa and abroad to relish in Chantel’s Botanical Cuisine. 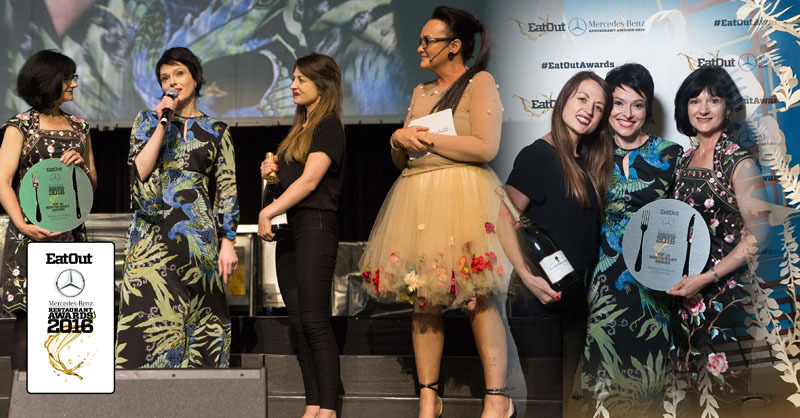 When it comes to the culinary world the annual award season is a momentous time for all the chefs in the industry – being recognised for your craft is a great achievement. For Mosaic it has certainly been a busy awards season. 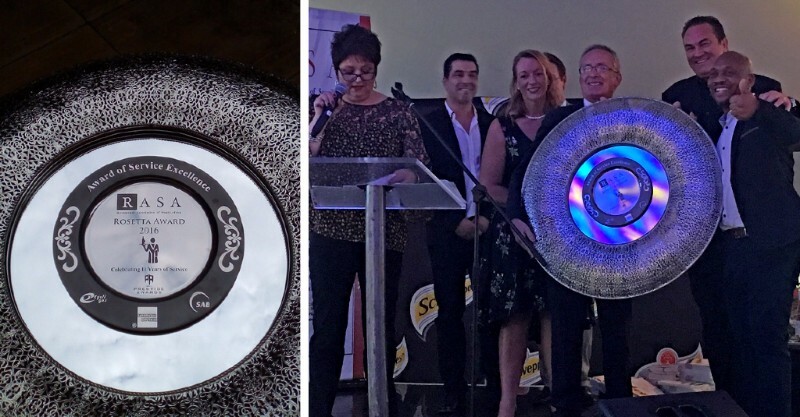 At the esteemed 11th Annual Restaurant Association of South Africa Top 100 Rosetta Awards, Mosaic was once again presented with the “Best Restaurant of the Year” award! Together with The Rosetta Award for Service Excellence in the Restaurant Industry, recognising the highest honours for service excellence & overall contribution to the upliftment of the restaurant industry. This is the 5th consecutive year that Restaurant Mosaic has been awarded multiple RASA awards and the 4th consecutive year to be named “Best Restaurant of the Year” by the Restaurant Association of South Africa. 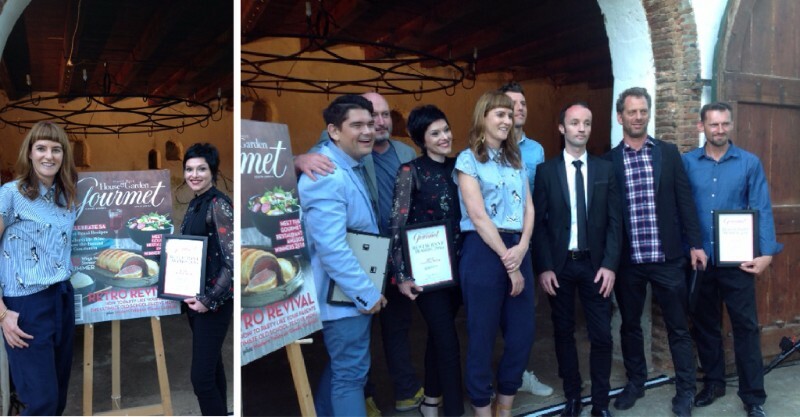 During the inaugural Gourmet Restaurant Awards, hosted by Condé Nast House & Garden Gourmet Magazine, launched with an exclusive cocktail party at the picturesque Klein Constantia Wine Estate. 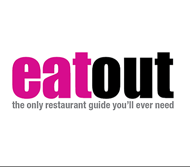 Gourmet introduced the best in South African restaurants with seven categories, including Best Tasting Menu, Gold Award for Consistency and Chef Excellence, Best Hotel Restaurant, Decor and Design, Hidden Gem, Reader’s Choice Award (as voted for by the public) and Best New Restaurant. 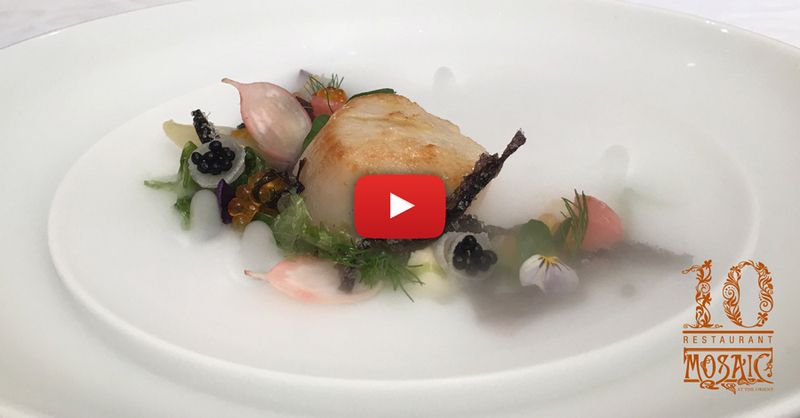 It was a beautiful event in true Condé Nast style, where Chantel was one of only seven Chefs awarded and proudly took home the “Best Tasting Menu” Award. An immense accolade for Chantel’s unique Botanical Cuisine. The icing on the cake, and number three in so many days, was an international accolade! 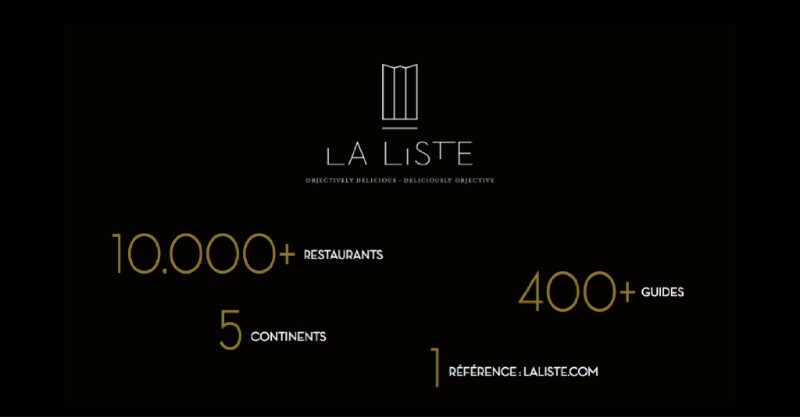 La Liste is a world-wide list featuring only the most remarkable restaurants globally, based on reviews by not only food critics and judges, but also ordinary diners and a variety of international restaurant guides. 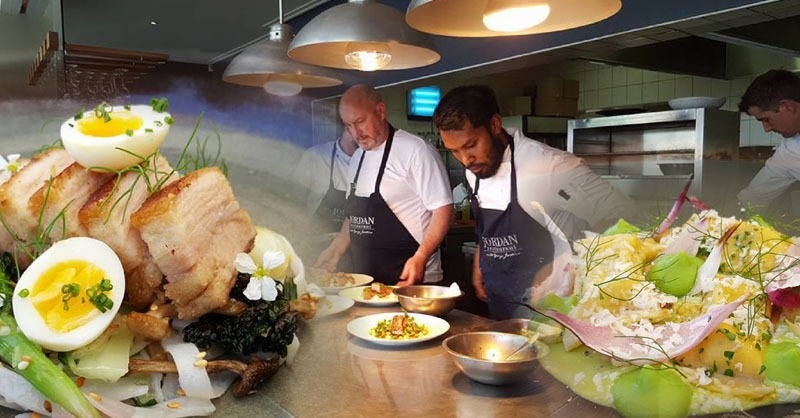 To be noted amongst the top chefs of the industry is one of the greatest honours that can be bestowed on any chef – it is like being in the presence of the gods of cuisine themselves! Since the inception of La Liste in 2015, Mosaic enjoyed recognition as one of the best restaurants in the world. 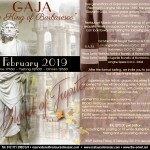 This year, the competition became even more strict as the list grew from a 1 000 restaurants reviewed to an astounding 10 000! 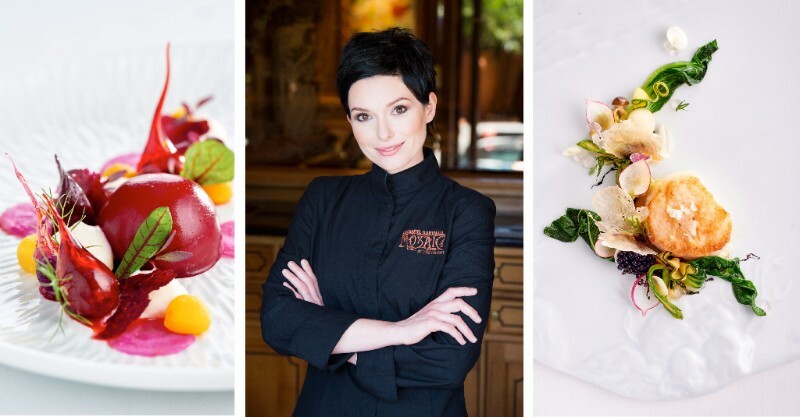 For the second year in a row, Mosaic receives a laurel wreath as they once again featured on this elite list, placing Chantel alongside international top chefs like Michel Chabran of France and Lorenzo in Italy. Such an incredible honour! 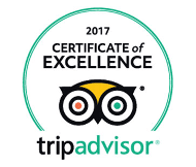 “We would like to thank all our loyal patrons, without your continuous support receiving these awards would not have been possible.” says Chantel. Restaurant Mosaic have always been passionate about romance and celebrating excellence in food and wine, embracing all things beautiful while being dedicated to achieving perfection. 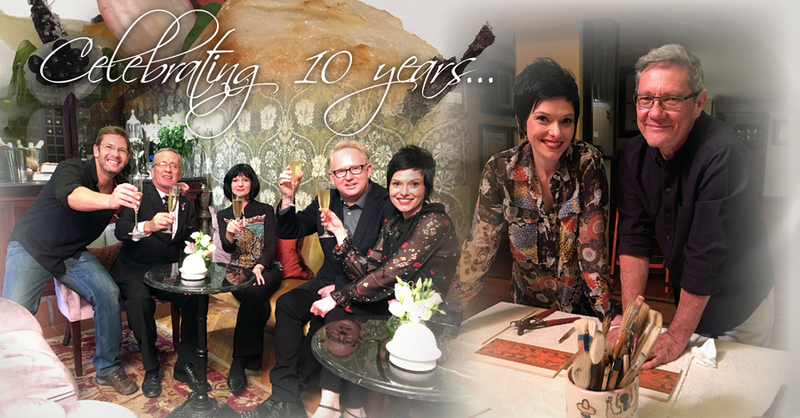 In celebration of our ten year anniversary, we have remodeled the restaurant interiors, adding additional historical Art Nouveau detail and a fresh new approach to the existing décor and design. Retief van Wyk, an internationally known glass and ceramic master and currently the subject leader for Glass Design and Technology at the Tshwane University of Technology is not only the creator and artist behind Chantel’s glass tableware, but he also specially crafted the unique Art Nouveau tiles for the newly re-designed dining areas. The talented David Muirhead, one of South Africa’s most prolific interior design experts, with a long list of both local and international experience, is so well respected internationally that he features in The Andrew Martin Interior Design Review – The Oscars of Interiors. With a skillful touch, he perfectly captured Mosaic’s vision for romance and elegance in his re-design of the Champagne Bar. Mosaic is the only Gauteng restaurant (and the only one outside of the Western Cape) in the Top 10 of the Mercedes Benz Eat Out Awards taking the No 5 spot as the acclaimed restaurant celebrates a decade of excellence. 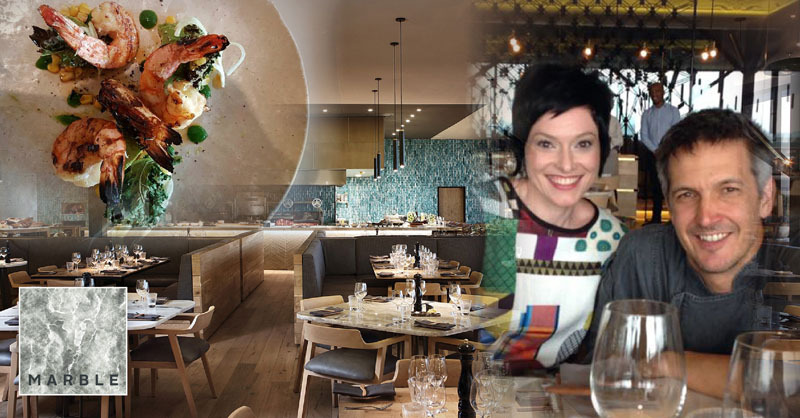 Restaurant Mosaic has been a top 10 contender in theMercedes Benz Eat Out Restaurant Awards for the past eight years, with Chantel Dartnall winning Chef of the Year twice – in 2009 and again in 2014. 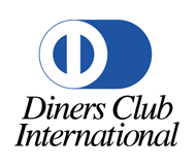 The American Express Fine Dining Awards: Platinum Status for the 10th consecutive year. 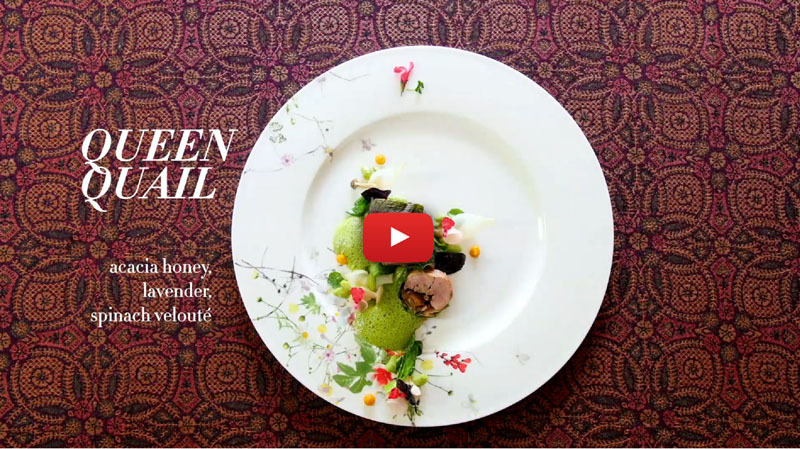 The Best Chef – 500 Top Chefs in the World: Dartnall reached No 261 from only a handful of chefs from the African continent. 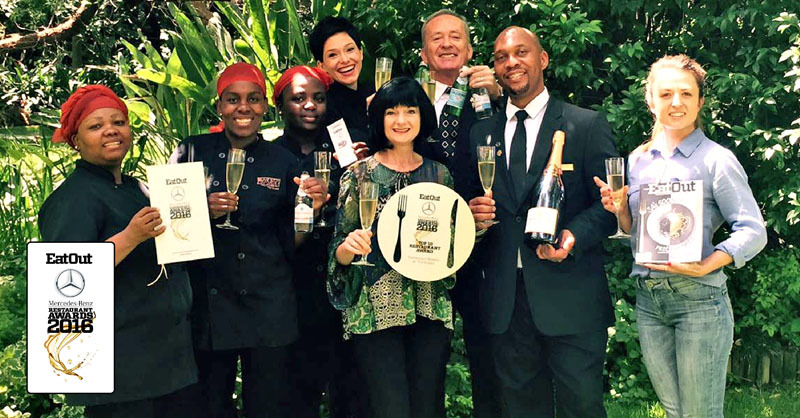 Wine Spectator Best of Award of Excellence: One of only three South African establishments to be recognised by this influential global awards programme and the only restaurant in Gauteng to achieve this accolade. 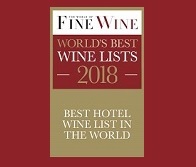 World of Fine Wine “World’s Best Wine Lists Awards”: Mosaic’s accolades for 2016 include Best Overall Wine List for Africa and the Middle East, Best Champagne and Sparkling Wine List; Best Dessert and Fortified Wine List; Best By-the-Glass Wine List and, to crown it all, a special Jury Prize for the quality and excellence of Mosaic’s approach to all things wine. Dartnall’s vision for the next 10 years remains the same – to celebrate excellence in food and wine; creating memorable and romantic special occasions for her guests and embracing all things beautiful while being dedicated to her vision of consistency, commitment, sustainable sourcing and the upliftment of the community surrounding her restaurant. Mosaic is an experience, a destination and celebration of life and I aim to further enhance that for all our guest.” says Dartnall. MOËT & CHANDON: A HERITAGE OF FABULOUS CELEBRATIONS! “We don’t ask the year to adapt to our wishes. We respect each year and try to give the best of ourselves without preconceptions but with a clear vision. Each year deserves to be understood and accepted for what it is, we are giving ourselves more freedom in bringing out a particular grand aspect of a year. Our aim is not to be extreme, but to play on a particular characteristic, to stretch it somehow and reveals its grandeur.” ~ Benoit Gouez, Chef de cave. 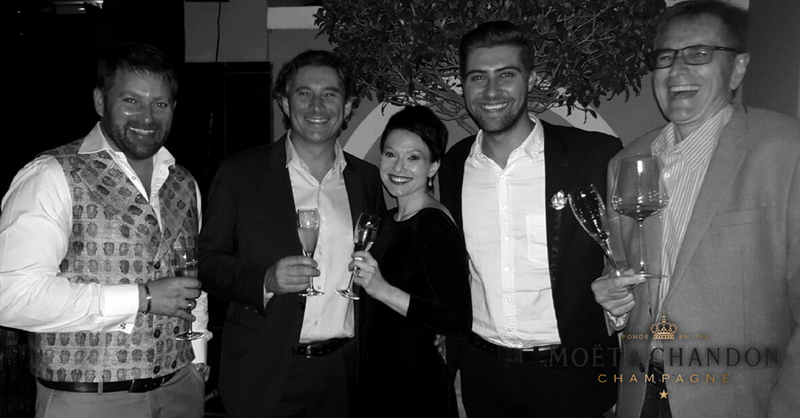 Chantel and the Mosaic Cellar Team had the honour of being invited to an exclusive Moët & Chandon Grand Vintage Dining Experience, hosted by Benoit Gouez (Chef de cave), in conjunction with Great Domaines at the Four Seasons Westcliff’s Cellar Door on Tuesday, 29 November 2016. Chef de cave Benoit Gouez guided guests through a technical tasting of the base wines that make up the illustrious and unique new release from the Moët & Chandon stables, the MCIII, before sharing a few other special champagnes with us over dinner. The MCIII brings Moët & Chandon’s heritage to life in a uniquely contemporary way and creates a champagne experience that represents the third millennium. 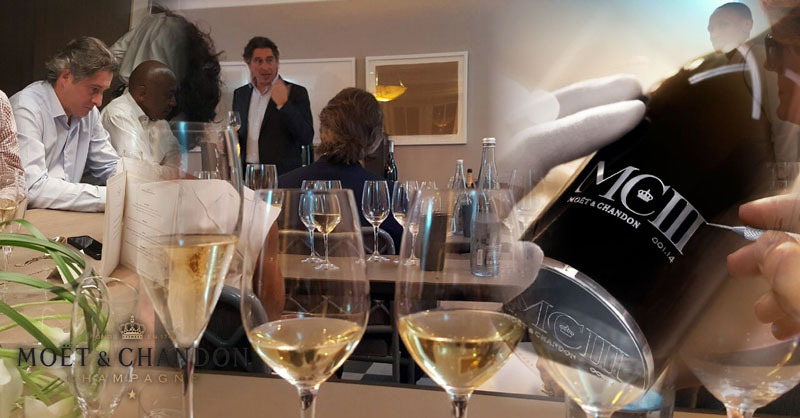 It is a bold new assemblage, for the very first time, Moët & Chandon has produced a champagne from vintage wines matured across three different universes: metal, wood and glass.The name MCIII is a oplulent code for this ultimate new expression. “MC” of course stands for Moët & Chandon, while “III” represents the trinity of Moët & Chandon in this champagne. An absolutely incredible guided tasting experience that leads you to truly appreciate the unique assemblage of this rare champagne … And we are proud to say that there is a few bottles in the Mosaic Cellar! MOSAIC’S WEBSITE – NOW MOBILE FRIENDLY! 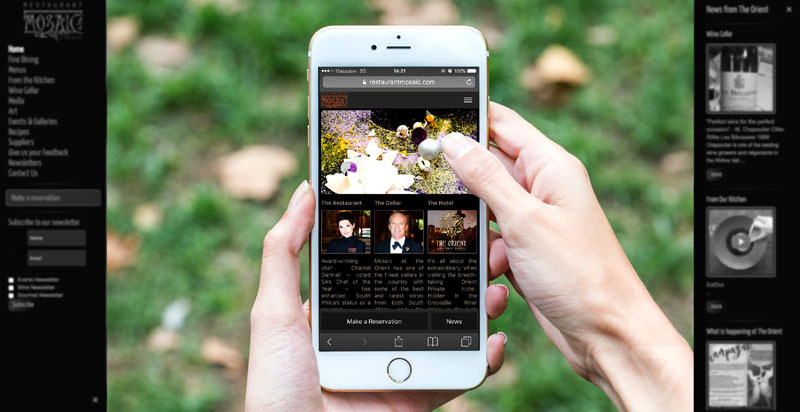 Now you can easily make bookings, read exciting news and stay up to date with events taking place at Restaurant Mosaic with our mobile enabled website! Our long awaited wines, specially imported from Europe, has finally arrived! We continuously aim to expand our wine list to include those hidden gems and rarities from the lesser known wineries and Champagne houses from France, without sacrificing quality! 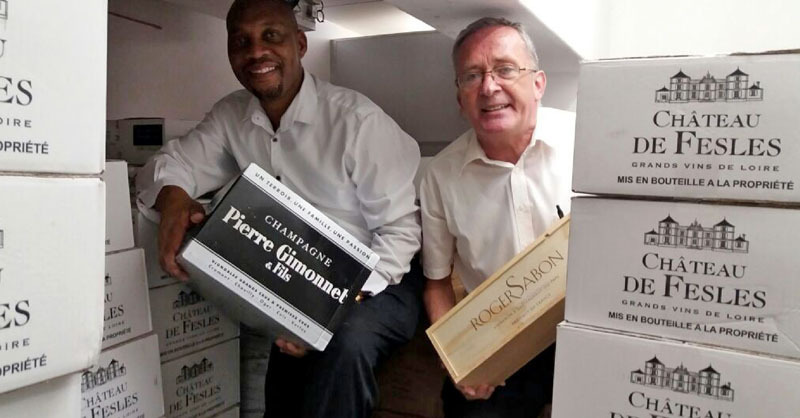 Our Cellar Master stocked up on all of your old favourites…Champagnes from Amaury Coutelas, Paul Bara, Charles Heidsieck and Vazart-Coquart as well as Domaine Roger Sabon from the Rhône Valley and Domaine Weinbach from Alsace…to name but a few! Some of the new Estates you will find on our wine list is J. Lassalle from Champagne, Château de Villeneuve from Saumur as well as the famed Clos de la Coulée de Serrant from Savennières in the Loire Valley! We cannot wait to share these gems with you! 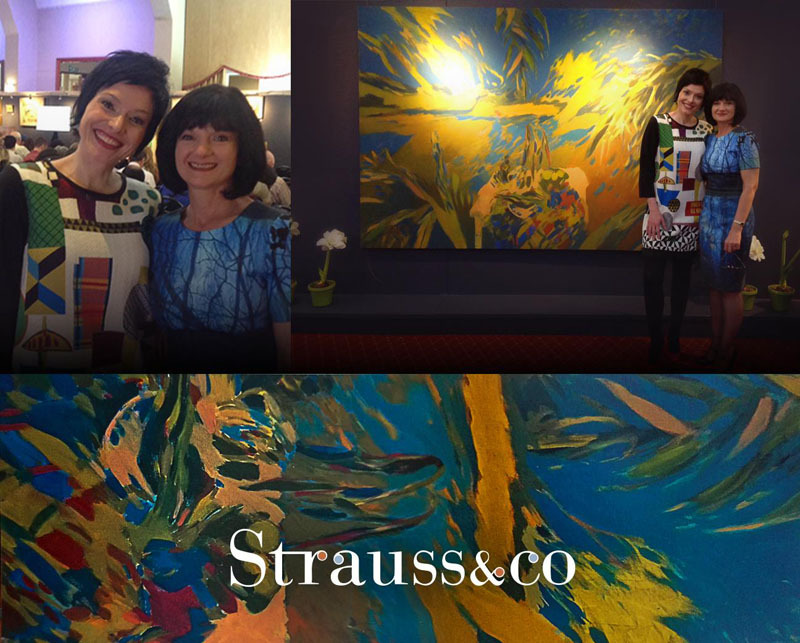 On the 7th of November we experienced some of the most exclusive South African art from old masters such as Adriaan Boshoff Snr, Titta Fasciotti, Terence McCaw at the Strauss & Co Johannesburg Art Auction. Some of these extraordinary pieces have been added to our collection and will be exhibited in our new Art Museum by the end of 2017. We visited Chef David Higgs at his newly opened restaurant Marble (before heading on a serious shopping spree at the Straus & Co Fine Art Auction). It was such a great afternoon and finally had some time to catch up and find out more about the inspiration behind this new venture. 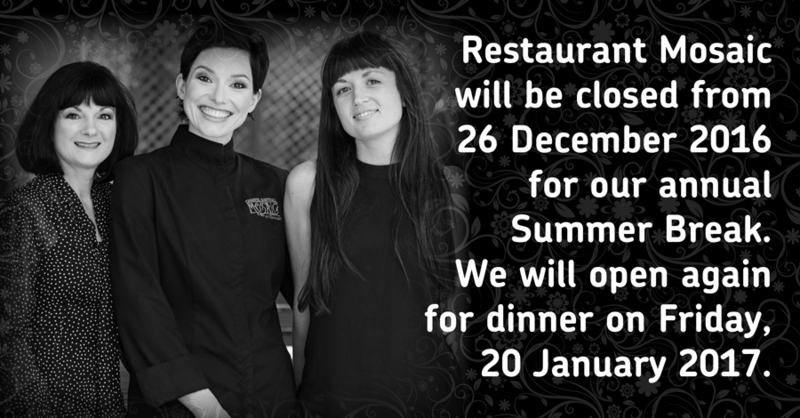 We wish Chef David and his partner Gary Kyriacou the greatest success. With the first signs of Spring emerging between the brown shades of leaves… Fantasy Forest is a dish that was inspired by my walks in the coastal forest of the Southern Cape. The earthy, comforting aromas of the primeval growth, nurtured by the early morning mist rolling in from the sea, a profusion of small mushrooms growing at my feet. Fragrant Morels, light Portebelini, delicate Sjimeji and earthy Shiitake mushrooms, which are all known for their powerful healing properties which include stimulating the immune system, lowering blood pressure and enhancing vitality, is accentuated by the sharpness and acidity of Yuzu – a citrus fruit originating in East Asia with a flavour that is almost lemon, almost lime, and a delicate light floral tinge to it. 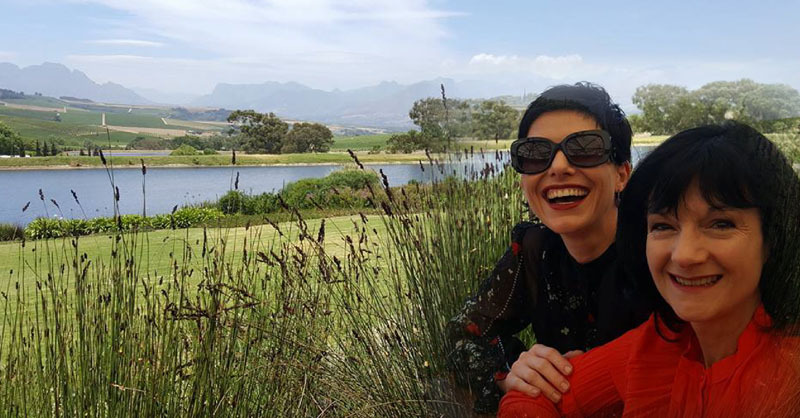 Kanonkop – a South African First Growth – held their annual launch of the 2015 Black Label Pinotage (from the oldest block of Pinotage planted in 1953 on the slopes of the Simonsberg) at Summer Place and we were honoured to attend this prestigious event. As always we were blown away by the warm generosity and hospitality of our hosts – from the wines tasted to the incredible cuisine! 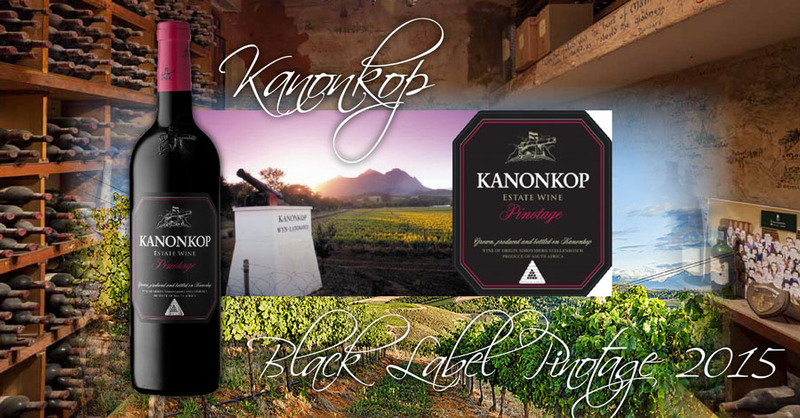 With the 2015 vintage already being hailed as one of the finest ever for South African wine, the release of Kanonkop’s Black Label Pinotage was met with unbridled anticipation. ‘Since the Black Label’s maiden vintage in 2006, this is the most hype we have ever experienced around our flagship wine,’ says Johann Krige. A beautiful deep ruby colour, showing great intensity from the rim to the center of the glass. This extraordinary wine is both powerful and lithe with beautiful fruit expression; complex, but with the finest tannins and a beguiling finish. 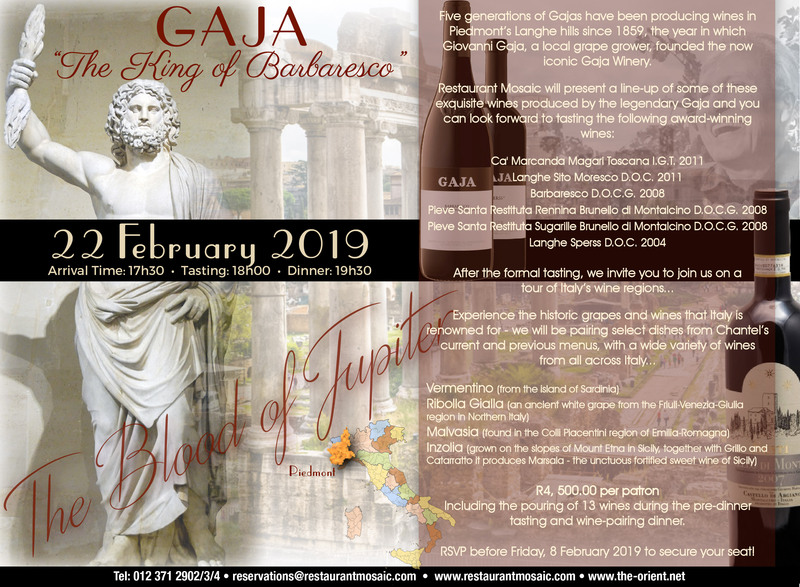 The 2015 is not the classical version of the cultivar but is nevertheless the epitome of South African Pinotage and sits comfortably among the greatest wines of the world. Adriaan Boshoff is known for portraying everyday scenes of realism in his unmistakable Impressionistic style with spontaneous brush strokes. 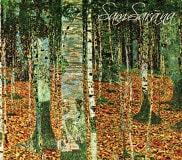 In this painting he captured the story of a seamstress. This glimpse into the life of a young lady sewing, is typical of his choice of subject and style. Painted in his primary choice of medium, using dark and somber oil colours, is a middle-class lady occupied with the mundane household chores of everyday life. She seems unaware of the sun-filled world outside as she concentrates on the piece of white fabric she is working on. The window is depicted in bright yellow, contrasting with the dark purple and blue shades of colour evident in the dress of the seamstress. This contrast draws the viewer’s attention to her. Boshoff’s use of darker colours for the interior creates mystery and provokes the viewer to be inquisitive about the life and circumstances of this lady. Boshoff leaves the viewer with questions that leads to different possibilities of who this lady might be and what she is doing. Is she fixing an old torn curtain? Or can she be busy with something as extravagant and romantic as a wedding dress? Does this wedding dress directs her thoughts to a daydream of her future husband and prince charming, or might it be wishful thinking as she is making this dress for a friend or relative? Is she tired, or is she purely concentrating on her masterpiece in the making? With his sensitive use of light, her figure stands out starkly against the bright window, it is clear that her only source of light is from the world outside. This might be a reflection of the dark world she finds herself trapped in, too preoccupied by her own circumstances to ever be able to make her escape into the beautiful mystery that life might hold for her. 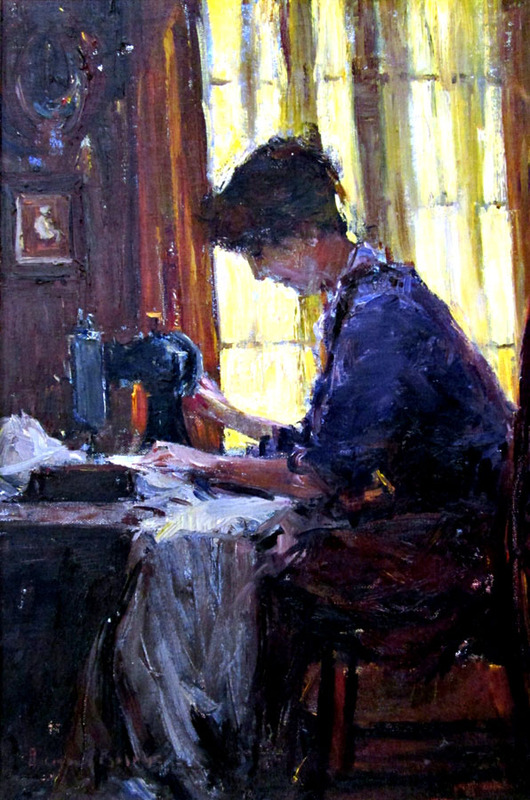 The Seamstress is an example of the harmonizing compositions, lines and colours that are typically seen in Boshoff’s depiction of everyday life. On 18 November Mosaic once again hosted our annual Prestige Champagne Tasting. We spoilt our loyal patrons with some incredible champagnes specially selected and imported by Restaurant Mosaic from the finest champagne houses in France! The guests were welcomed with the creamy, ample and generous Franck Bonville Millésime Blanc de Blancs 2009 from the chalky terroir of the Grand Cru Avize in the Côte des Blancs. The 1st flight of our official tasting – a comparison of the Cuvée Spécial Club from three different members of the Club Trésor de Champagne from three different vintages… First off was the vibrant Vazart-Coquart Cuvée Spécial Club 2006 – showing serious depth to the grapefruit, candied berry, butter and toast aromas and flavours. 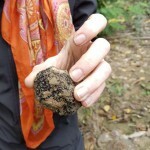 This was followed by the first 100% Pinot Meunier admitted to the Club, the Moussé Fils Cuvée Spécial Club 2008. 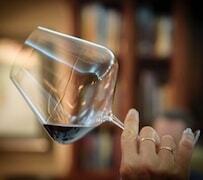 Typical aromas of white peaches and a remarkable finesse in the finish. A champagne not to be missed! 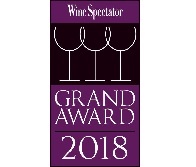 Last but not least we tempted the taste buds with the straw-coloured beauty from Paul Bara – the Cuvée Spécial Club 2004 – full and generous, offering a garland of surprising flavours dominated by ripe and candied fruit that linger right up to the finish! An incredible start to the evening, made even more special by the fact that we were able to chat with Cedric Moussé, the winemaker from Champagne Moussé Fils, via a live Skype session – giving our patrons the opportunity to interact and ask him questions about his champagne! 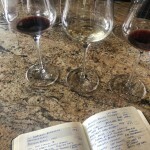 The 2nd flight was a comparison of Blanc de Blancs from different vintages and terroirs, starting with the smooth and sensual Blanc des Millénaires 1995 from Charles Heidsieck – aged for 15 years before being released, the wine revealed its generosity in notes of salty caramel and a hint of almond milk. The next wine from one of the most respected names in Champagne, the Salon Brut Blanc de Blancs 1997 was complex yet ethereal. The last wine of this flight was the Diebolt-Vallois Fleur de Passion Blanc de Blancs 1996, the jewel in the range from Diebolt-Vallois. It is only made in the very best years. It was enticing with flavours of caramel and ginger. The last flight of the evening (and may we say we saved the best for last!) 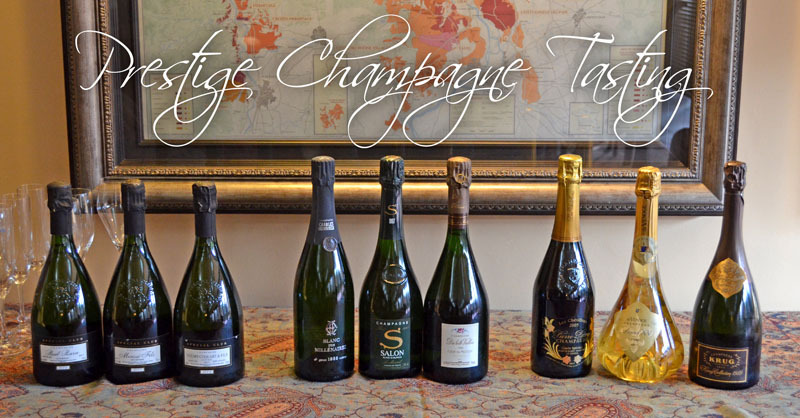 showcased some of the most illustrious and sought-after champagnes in the world! The Cuvée Spéciale Les Chétillons 2005 from Pierre Péters is what puts this winery among the upper echelon. Made entirely with old-vine fruit (45 years) from a small lieu-dit in Mesnil-sur-Oger, this wine is pure Mesnil and the apex of great Blanc de Blancs. With its bottled shaped in the form of a carafe, the Louis XV Brut Millésime 1996 is the new prestige cuvée from Champagne De Venoge, only produced in very great years and matured in the cellars for 10 years. The final champagne of the lineup and the evening was from Krug – simply named, Collection 1989. A very limited amount of bottles of the 1989 vintage were kept in ideal conditions in Krug’s cellars, tasted and appraised as they waited to blossom into a second life… And finally it was at that stage… Perfection! To conclude the already brilliant evening, we surprised our guests with a mystery champagne! 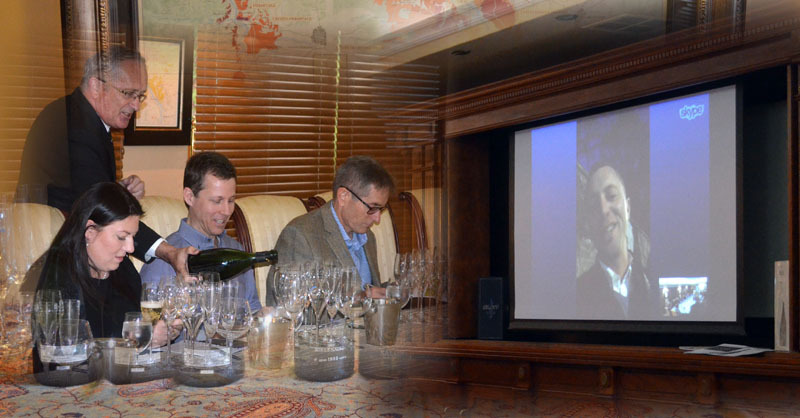 They were astonished when our sommelier revealed the champagne as JC le Roux Pinot Noir 1989. It was described as a “revelation” amongst guests! The perfect way to end an incredible year at Mosaic!